Achievement in every field of human endeavor. KAPPA ALPHA PSI , a college Fraternity, now comprised of functioning Undergraduate and Alumni Chapters on major campuses and in cities throughout the country, is the crystallization of a dream. It is the beautiful realization of a vision shared commonly by the late Revered Founder ELDER WATSON DIGGS, “THE DREAMER”; JOHN MILTON LEE; BYRON K. ARMSTRONG; GUY LEVIS GRANT; EZRA D. ALEXANDER; HENRY T. ASHER; MARCUS P. BLAKEMORE; PAUL CAINE; EDWARD G. IRVIN and GEORGE W. EDMONDS. It was the vision of these astute men that enabled them in the school year 1910 – 11, more specifically the night of January 5, 1911, on the campus of Indiana University at Bloomington, Indiana, to sow the seed of a fraternal tree whose fruit is available to, and now enjoyed by, college men everywhere, regardless of their color, religion or national origin. It is a fact of which KAPPA ALPHA PSI is justly proud that the Constitution has never contained any clause which either excluded or suggested the exclusion of a man from membership merely because of his color, creed, or national origin. The Constitution of KAPPA ALPHA PSI is predicated upon, and dedicated to, the principles of achievement through a truly democratic Fraternity. Chartered and incorporated originally under the laws of the State of Indiana as Kappa Alpha Nu on April 15, 1911, the name was changed to KAPPA ALPHA PSI on a resolution offered and adopted at the Grand Chapter in December 1914. This change became effective April 15, 1915, on a proclamation by the then Grand Polemarch, Elder Watson Diggs. Thus, the name acquired a distinctive Greek letter symbol and KAPPA ALPHA PSI thereby became a Greek letter Fraternity in every sense of the designation. In selecting a suitable motto, Diggs, Armstrong and Lee solicited the aid of a Professor of Greek Art at Indiana Technical College at Fort Wayne, Indiana. Having adopted a motto which mutually suited them, they carried a sketch of the coat of arms to a commercial engraver in Fort Wayne, from which he made the first metal plate. For years, in order to safeguard the ritualistic secrets of the Fraternity, Diggs laboriously typed and bound the rituals. It was not until he moved to Indianapolis, Indiana, where he met an old German printer in whom he had confidence, that he entrusted the esoteric materials of the Fraternity to a commercial printer. Now substantially established and provided with a Constitution, Ritual, coat of arms, motto, and guiding hand in a dynamic Grand Chapter, the Fraternity was ready for expansion. In the summer of 1912 Diggs visited the University of Illinois at Urbana, Illinois, where he met Earl B. Dicker-son, President of the Old “Illini Club.” This club constituted the nucleus of the University of Illinois Chapter, the Beta, which was chartered on February 8, 1913. Gamma Chapter (later changed to Indianapolis Alumni Chapter) was established on December 29, 1913, followed by the establishment of Delta Chapter at the University of Iowa, on March 7, 1914. The latter was subsequently changed to Gamma Chapter, and the designation of Delta assigned to the Wilberforce University Chapter at Wilberforce, Ohio. Epsilon Chapter, Lincoln University, Pennsylvania, was established December 4, 1915, as the first chapter in the East. Elder W. Diggs journeyed from Indiana to give this chapter his personal and official installation, recognition and blessing. Thus ended the infancy of KAPPA ALPHA PSI , whereupon the Fraternity embarked upon an era of expansion. 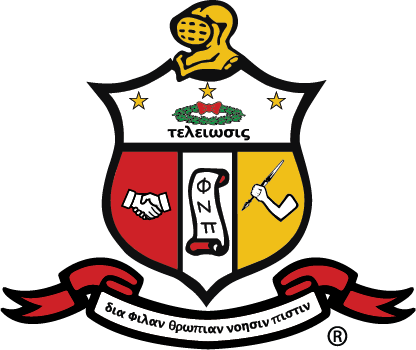 Except for the years of World War I and II, when several Grand Chapter meetings were suspended, KAPPA ALPHA PSI has grown and prevailed with unabating impetus.